Humour me awhile. 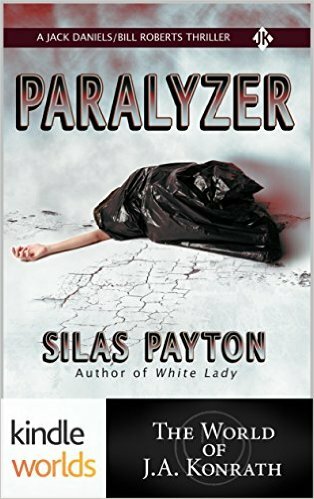 I'll tell you a story of 'Imaginary Friends' and in particular, one such friend - Silas Payton. That is what Silas himself would refer to us, the members of the IASD Facebook group, as. Now, it's fair to say that I never knew Silas personally BUT, and here's the crux of it, within our group I believe it is very possible to 'feel' each individual after a period of time, simply by how and what they write. We live in a virtual world, almost literally these days, a world governed by high speed this and super-fast that where everything needs to be done yesterday or for some odd reason, it is too late. So where does Silas and imaginary friends fit into my ramblings? 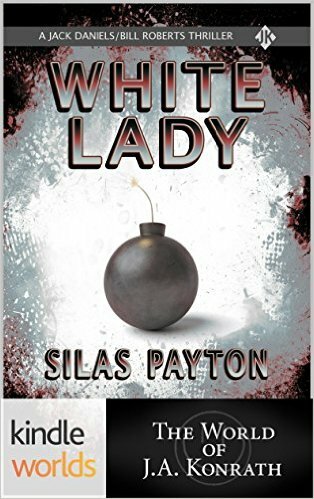 Well, it's like this you see... Silas Payton is a brilliant writer, he has a talent for stories and as a person, is someone you can instantly warm to. Now, I won't go into detail but what I will do is just give you an insight into what his work consists of, with luck, you'll go find out for yourself. Toronto police Inspector Bill Roberts is called to the scene when mutilated remains of a body are found in a dumpster. He soon discovers a connection between the body and a series of unsolved reports of missing people in the City of Toronto. Six months after Lt. Jack Daniels of the Chicago police is almost blown up in Toronto, she returns to get an award for her help in catching a hit man. While she is there, she begins to suspect her partner Herb may have joined the ranks of Toronto's growing list of the missing, and insists on taking part in the investigation. Jack joins forces with Inspector Bill Roberts in a race to discover the disturbing cause of the disappearances before Herb becomes the next victim. With guest appearances by Jack's former partner, Harry McGlade, and by Jack's cat, Mr. Friskers, this story will keep you flipping pages non-stop until the end. This novel is approximately 240 pages, and ties in the Jack Daniels characters of author J.A. Konrath, and the Bill Roberts characters of author Silas Payton. If you like either of these authors on their own, you'll love this story bringing their two worlds together. Lieutenant Jack Daniels is dragged to Toronto for a Leadership in Policing Conference where she is to be the Chicago poster girl, while Captain Bains presents on their success with serial killers. The place turns into a media frenzy, when the mayor of Toronto announces an appearance to officially open the conference, in the midst of recent corruption charges. Unfortunately, the commotion becomes an opportunity for an attempt on the mayor's life by a hit man known as the Messenger. A dead body, a conference center full of police and media, a corrupt mayor, and a bomber...what could go wrong? 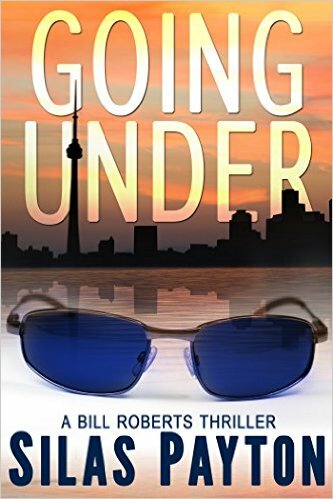 Lieutenant Jack Daniels teams up with Toronto Police Inspector, Bill Roberts, to find the hit man before he can blow up the building. When she mistakenly walks into a transvestite fashion show, little does she know, it may help her track down the killer...but will it be too late? This novella of roughly 15k words, ties in the Jack Daniels characters of Kindle best selling author, J.A. Konrath, and the Bill Roberts characters of up-and-coming author, Silas Payton. If you like a high action thriller laced with laugh-out-loud humour, you will enjoy this book. While investigating three unexplained deaths, Inspector Bill Roberts finds himself in the middle of a retaliation, after a biker gang moves in on mafia territory. With few leads and increased scrutiny by the Chief of Police and the Mayor of Toronto, he tries to track down whoever is responsible, making himself a target in the process. Bill Roberts, an Inspector with the Toronto police, has decided today was the day to drag himself back to the gym, for the first time since a recent arrest attempt left him with a broken leg. A mishap on his first day back sets the tone for the next twenty hours. When he gets called to the scene of a murder, he finds a wife has shot her loving husband, for no apparent reason. He and his team of detectives investigate, finding bizarre connections to a local biker gang, the mafia, and the Mayor's office, throwing themselves in the middle of a much larger scandal. With few leads, Inspector Bill Roberts must connect three strange deaths and find the person responsible. When he suspects the connection is a psychiatrist, Dr. Barry Nelson, the Inspector's priority becomes finding him before he leaves the city, onto his next job. What he doesn't realize is the doctor has one more job to finish... to eliminate Bill Roberts. This is a thriller laced with humour. It will keep you intrigued and on the edge of your seat to the last sentence, while giving you a few laughs along the way. If you like the books of J.A. Konrath, Blake Crouch, Jude Hardin, or Tracy Sharp, this book is for you. So there you have it. Three great stories by one of my imaginary friends, only he's much more than that.He's someone I came to admire, who deserves credit for his selflessness alone, and someone I hope will continue to follow his passion for the written word. Speaking of which, there's a rumour that his latest endeavour, 14 Gable Lane, isn't far off completion so do check back here for an update when that comes out. It promises to be another Silas epic tale.